So, I decided to add some of my newer pics. These three were finished just recently and I had some free time so I used my laptop’s camera and made photos. After I trimmed the pohotos in PhotoFiltre so that I wasn’t in the picture. Or my fingers for that matter. 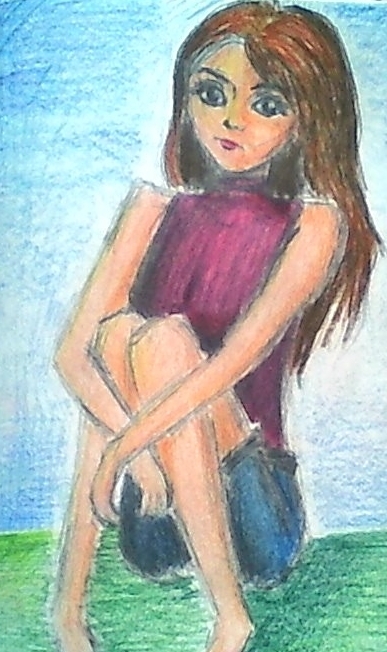 This first one is of a sitting girl and was inspired by some more or less random pic on pinterest. I’ve been using pinterest as a source of inspiration. It’s great. Pinterest I mean, the picture, could be better but I’m of the opinion that it’s not too bad. Yeah, the proportions are a bit off, but it’s not like I was going for realism so there. 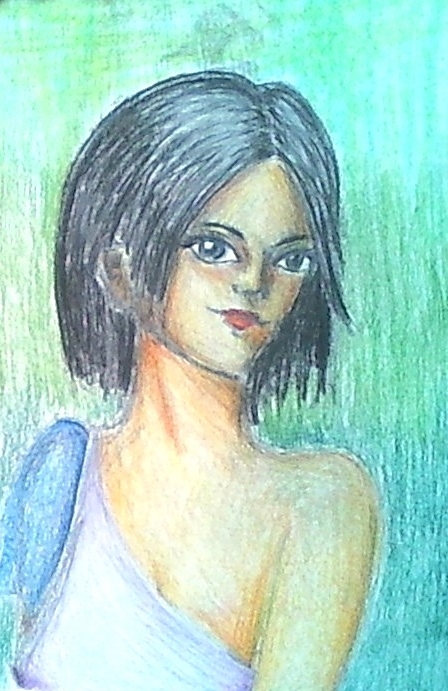 Done in colored pencils with a pencil sketch under. Sketch is a bit older than the colores on top. I just recently got the idea to go back into it with color. But all things considered, it didn’T turn out too awfull. The second pic was probably even more random. I just sketched and some time after went back into it with color. Though to be honest, I like it somewhat more than the first one. Mainly the shading in the face. I tried to make the sleeve kinda seethrough but I don’T think I did a good job of that, other than that though, I’m happy with how it turned out. 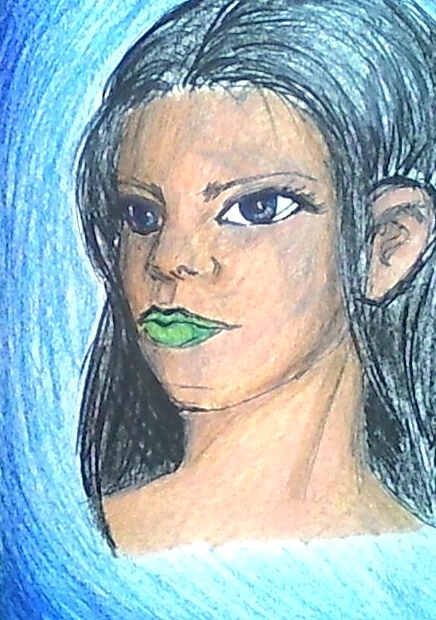 Last pic is me experimenting with darker skin tones. And frankly, it lookes darker on paper. The photo probably skewed the colors a bit. And probably not only on this one. But I’m too lazy to plug in my skener so using camera app on my laptop was the better option for me. Faster. Now about the third picture. Like I said, I tried to experiment with a darker skin tone and exotic lip color. The ear is a bit weird and the lips should be a bit more to the right (from viewer’s point of view), but other than that, I think it turned out pretty good. Yeah, the lip placement is still bothering me. But nothing to be done about it now, considering that it was sketched with a permanent medium. So short of scrapping it and starting over, nothing to be done about it now. But I really like to sketch with a permanent medium. If I don’T, I redraw and erase too much. And this eliminates it. WEll, that’s the pics. Hope you like them at least a little bit and when I finish more of them, I’ll post them. Again with a short (or not so short) commentary.